Plastic waste is one of the biggest problems in regards to the environment, polluting landfills and oceans around the globe. According to Plastic Oceans, “Over the last ten years we have produced more plastic than during the whole of the last century”. 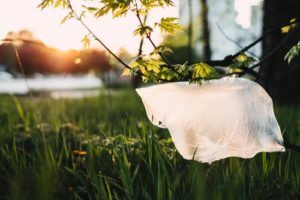 On account of this, legislative changes have been put into place as well as increased public pressure to come up with more eco-friendly alternatives to the plastics used in some of our favourite products, such a tea bags! 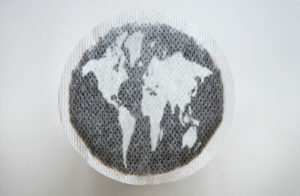 One alternative to replacing ‘polypropylene’, the oil based plastic which is currently used to seal tea bags are ‘bioplastics’. Bioplastics are a type of plastic derived from raw materials, such as vegetable fats and oils, cellulose and corn starch. At Union Papertech, we’re always looking for ways to be more environmentally friendly. Therefore the development of a reliable, 100% biodegradable form of filtration paper was essential for us and our customers. However, what are the positives and negatives of bioplastics and how will they effect the environment and the tea industry? Biodegradability: Bioplastics will break down in industrial compost sites as they are made from plant based raw materials. This means reduced landfill waste and therefore less plastic pollution when disposed of correctly. Renewable and Sustainable: The plants used to make bioplastics can be re-grown to produce more bioplastic, unlike oil based plastic which there is a limited amount of. Less Carbon Emission : According to ‘Connect us fund’, an organisation with a focus on the environment, “As opposed to the normal manufacturing of plastics that create four tons of emissions, bioplastics only emit approximately .8 tons of carbon that add to the greenhouse effect and global warming”. Challenging to Replace: Bioplastics are similar but not the same as polypropylene. This means extensive engineering is required to make bioplastics act the same way as polypropylene. Costly: Due to the different manufacturing methods, bioplastics are currently less popular and more expensive than regular plastics. In an aim to produce a more environmentally friendly product for our customers, we’ve developed a new line of revolutionary filtration paper known as Puri Seal Green. Puri Seal Green is a 100% biodegradable line of filtration paper that is currently undergoing final trials and is predicted to hit some of your favourite supermarket shelves by mid 2019. You can read more about Puri Seal Green here.